Give the gift of relaxation, with a luxurious and calming bathing experience in the comfort of their home. 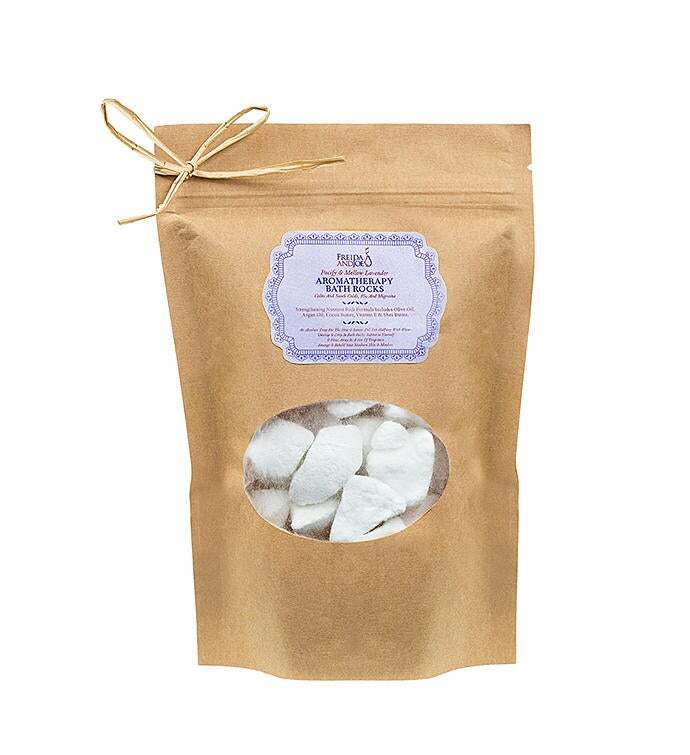 250 Grams of Bath Bomb Rocks in a gift bag. More than just a tranquil aromatherapy for the soul, these bath rocks are formulated with a unique mixture of argan oil from Morocco, olive oil from Greece, and rich coca butter. Together, they transform your bath into the essence of the carefree Mediterranean. Each bath bomb rock has also been enriched with Shea butter and vitamin E, nourishing and moisturizing your skin to be baby soft as you relax in complete and utter bliss.Contains no Dye and Coloring. Scents that Love and Linger: Lavender Fragrance, known to help relieve tension, pain, disinfect scalp and skin, and even help with respiratory issues made from high quality and cruelty free ingredients sourced from United Kingdom. More than just a tranquil aromatherapy for the soul, these bath rocks are formulated with a unique mixture of argan oil from Morocco, olive oil from Greece, and rich coca butter.